With so much going on in our lives, every now and then we lose perspective and even lose purpose. The best cure to that malaise is to have a beautiful retreat to go to where we can reenergise our spirits and recharge our batteries. Merriam Webster defines a retreat as “the process of receding from a position or state attained.” So, who wouldn’t want that? Who wouldn’t want to take the time to just cool off and recharge? Who wouldn’t want to have a permanent home to go to, a personal “RETREAT” where you can relax and take a break from the hustle and bustle of the city? Since we all face pressures in our lives, just like Clooney, wouldn’t it be a good idea to invest in our own retreat? This shouldn’t necessarily mean going very far away from home, but it definitely means going somewhere that enhances your spirituality and peace of mind. And it would be even better if it was a place that you can really call home. Think proximity, think spirituality, think uniqueness. Think IL Monte Galala! Your retreat just around the corner. 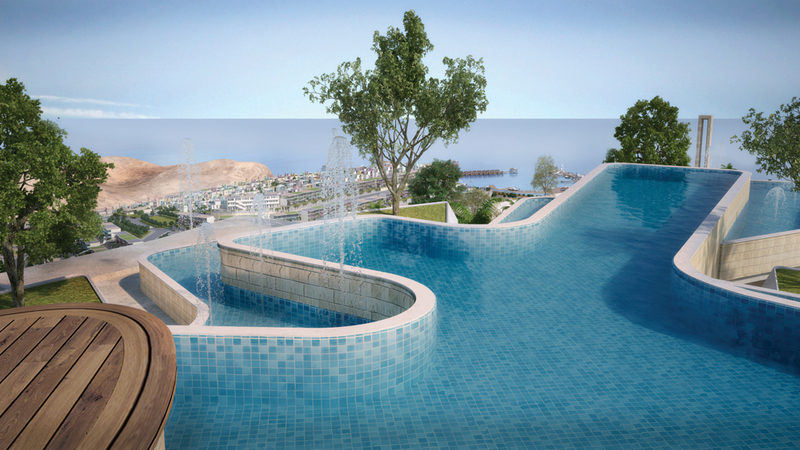 Designed with those Italian lakeside cities in mind, IL Monte Galala, built on the Galala mountains in Sokhna on Egypt’s Red Sea, promises to become another Como when it comes alive in 2020. 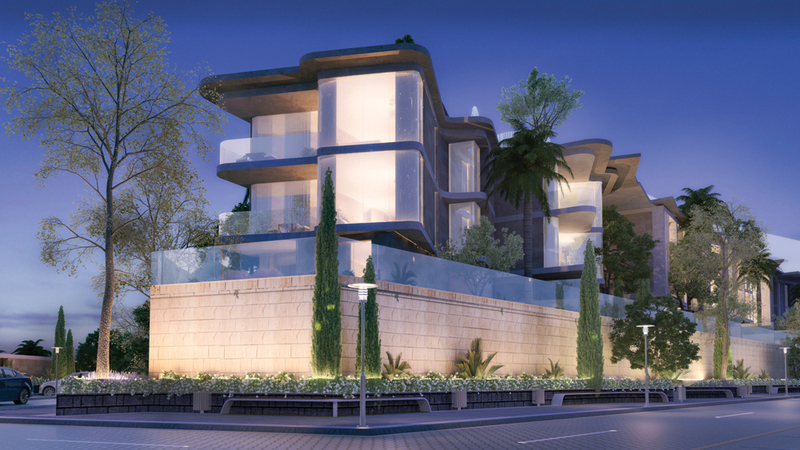 Built in a unique new style, the houses at Il Monte are the result of the creativity and ingenuity of the architects specially chosen for this exclusive project. The striking ingenuity of the architects can also be seen in the crystal lagoon that they created on the mountain, the first lagoon in the world to be built on a mountain top- truly a fantastic architectural and structural achievement. 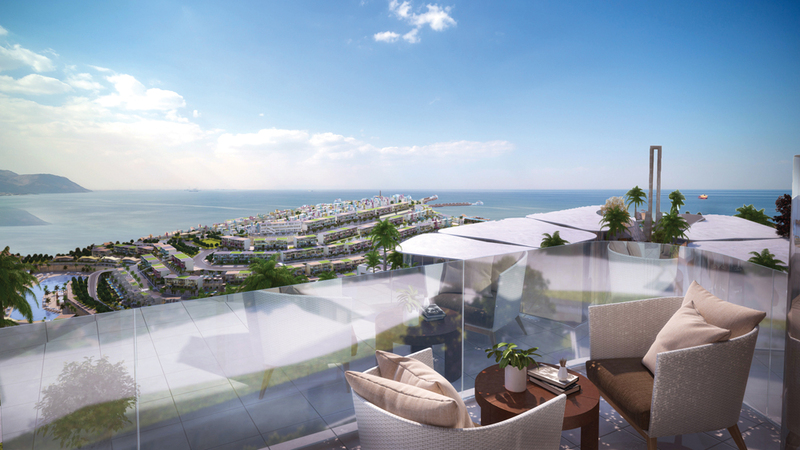 Cabanas will also be built around this one of a kind mountaintop lagoon, providing residents with a mesmerising view of the sea while enjoying swimming in the crystal waters of the lagoon. Having a beach-side home on the mountain with a view of the sea makes Il Monte Galala truly a retreat like no other in the world. But IL Monte has much more to offer beyond beach life. While other Sokhna resorts simply provide a nice quiet place with simple activities such as enjoying the sound of sea waves hugging the shore or absorbing the calming landscape, IL Monte has so much more. Tatweer Misr, the developer and mastermind behind IL Monte Galala, had a uniquely different vision. They opted for a masterplan with an “All in One Concept”, that represents a full integration of elements guaranteeing its residents the utmost levels of joy and serenity. The IL Monte mountain resort experience combines a back to basics philosophy with the bright side of technology. An example that comes to mind is the rule of maintaining a maximum walking distance of 300 m between the different points in the resort, as well as providing diverse options of transport within the development. Since the ultimate stress relieving retreat should not include the need to drive, Tatweer Misr focused on creative mobility and accessibility solutions, including the inclined all glass elevators like the ones you find in the mountains of Switzerland, where the sun and the breeze caress your face while you enjoy the amazing views all around you. IL Monte’s mountain top also includes, the first and only Omar Samra Mountain Base Camp in Egypt, offering diverse activities all designed by this world class mountaineer extraordinaire, including rope climbing, yoga and nature walks, and so much more. “Namaste” will become your lifestyle at IL Monte Galala! The word used for greetings and starting and ending yoga sessions will surely become a state of mind once you get to experience the immense number of amenities integrated in one place just for you. Spas and walks in the small cobble stone alleys of the Italian-inspired old town are also part of the equation. Serenity comes in so many ways, and one way can be found in Tatweer Misr’s very own walk of fame which they call the Art Spine. You will surely enjoy the Art Spine’s interactive modern art features, which will bring out the inner photographer in you! As if the surrounding picture perfect natural and architectural features are not enough, the Art Spine is full of interactive instagrammable elements that invite people to join in, not to mention the uncanny 3D drawings on the ground which are so realistic that they deceive you into thinking you are going to walk down some stairs when there are none! The Art Spine is full of other interactive features that inspire fun and play. No wonder that IL Monte Galala is an award-winning project. It truly is your ultimate retreat, and it is just around the corner!